Ontario Premier Doug Ford confirmed this morning that he would introduce legislation to lower the price of a bottle or can of beer to $1 from $1.25 ahead of the Labour Day weekend. Finance Minister Vic Fideli noted the legislation will "reduce the floor" on beer sales and give brewers permission to sell their cans and bottles for $1 — pricing that has been illegal for a decade. He added the PCs are offering "non-financial incentives" in the form of "buck-a-beer challenge" to encourage Ontario's 260 brewers to drop prices. That challenge will give brewers promotions and advertising advantages at the Liquor Control Board of Ontario, such as limited time discounts and in-store displays, that Ford called "priceless." "Those who get there first will be recognized throughout the year," he said. Under the buck-a-beer plan, brewers are not required to charge less. The lower minimum price also does not apply to draft beer sold in restaurants and bars, nor does it include the bottle deposit. Cider, spirits and wine are exempt from the reduced pricing. Great Lakes Brewery, a microbrewery in Toronto's Etobicoke neighbourhood, has been pouring suds for 31 years. Spokesperson Troy Burtch explained that big beer companies like Mill Street, which is owned by Canadian beer giant Labatt, might be able to afford the extra costs. But Great Lakes Brewery just can't justify it, he said, even with the proposed marketing incentives. "If they give premium shelf space away to buck-a-beer companies through the government, that's taking money away from the LCBO that brewers like Great Lakes would purchase," Burtch said. Other microbreweries took to Twitter to vent their frustrations with the plan. The People's Pint called the buck-a-beer plan a "race to the bottom." "We are committed to making a quality product that we are proud to serve and that means it will always cost more," the west-end brewery tweeted. "We firmly believe that you really do get what you pay for." We will continue to offer fair prices that allow the living wage to our team and maintain fresh quality brews. We are not going to pursue this initiative. Meanwhile, Muskoka Brewery said on Twitter it wouldn't change its prices. "We're happy to offer fair prices that allow us to maintain quality brews and living wage to our team." The Liberals, led by then-premier Dalton McGuinty raised the minimum price of a 24-pack of beer to $25.60 in 2008. Ford said that amounted to the government "putting its hand in your pocket" each time you went to buy a six-pack of beer. 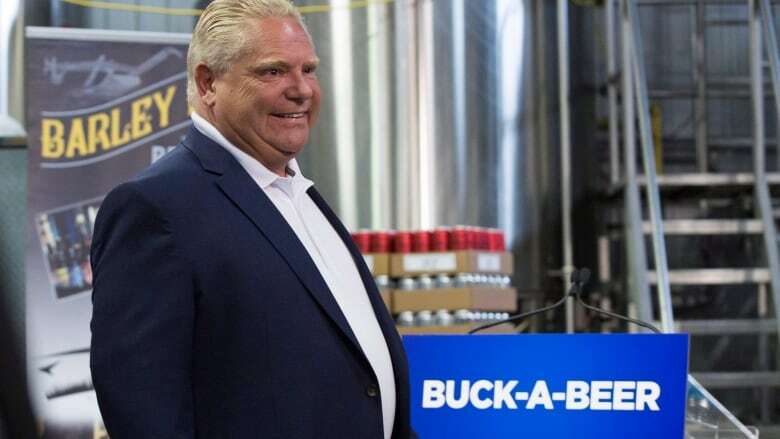 Ford made the return of buck a beer one of his marquee election promises ahead of his party's majority victory. He also vowed to expand the sale of beer, wine and spirits to corner stores across the province. "You're going to be paying less than what was charged in the past," he said. But not everyone welcomed the move. Official Opposition Leader Andrea Horwath attacked Ford for pushing for buck a beer just days after cutting the basic income pilot program. 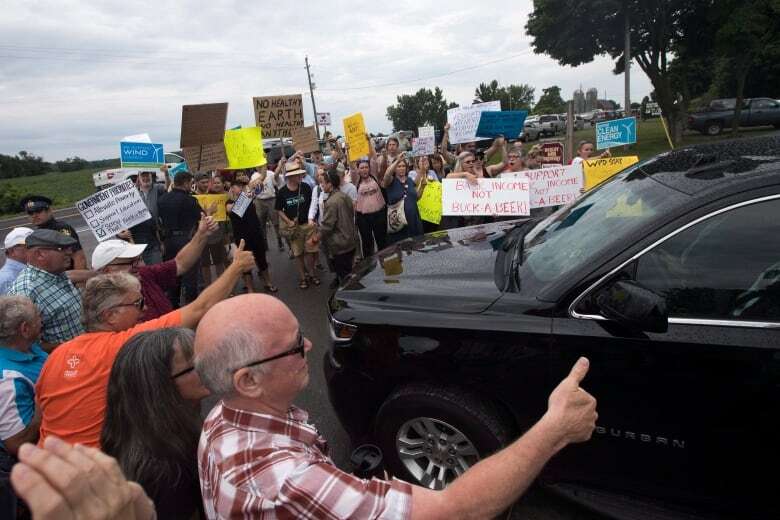 "His priorities are completely mixed up," Horwath said at Queen's Park. She added it's "absolutely" not true that the buck-a-beer incentives won't cost the government any money — noting product placements and advertising in the LCBO's magazine do have monetary value. Outside the political debate over beer prices, Mothers Against Drunk Driving (MADD) Canada said cheaper suds are a bad idea — pointing out the impact "extends beyond the price of beer." "Lower alcohol prices can lead to increased consumption, particularly among those with alcohol problems, and among young people," MADD Canada said in an email. The advocacy group has repeatedly called for more legislation to curb the number of impaired drivers on Ontario's roadways, and believes the Ford government isn't taking that into account. "Increased consumption can in turn lead to increased alcohol-related problems, including impaired driving," said MADD Canada. So far this year, 26 people have died in the province in impaired driving collisions, according to Ontario Provincial Police. Ford, when asked about this research during the news conference, said his number 1 concern when drafting this legislation was responsibility. "I think people in Ontario are mature enough, they're mature enough to know when they've had one too many," he said. "I have all the confidence that the people in Ontario can be responsible beer drinkers."